There are practically umpteen solutions available if you are looking for the best Cloud hosting options for your business. Right from the industry leading players like Amazon and Microsoft Corp’s Azure to the smaller options like Vultr – you can check a host of options for your exact requirements. Of course, most of them would have the plans that meet most of your needs, but what about the features that each of these services come with (AWS vs Vultr)? That is precisely what we will be doing with today’s comparison. Vultr is the (relatively) new player off the block but has been offering an excellent functionality in its own right. The achievements observed with Vultr when it comes to the benchmarks is commendable enough. One of the additional features that we loved the most with Vultr is the support for Bitcoin payment mode. You also have access to 256-bit encryption and a host of other security features. Regular backups should be the best feature that we observed with Vultr and should make it one of the best alternatives to its bigger rivals. It does store two latest backups on their blob storage. You can opt for the schedule of your backups based on your preferences. The operating systems supported include Windows, Ubuntu, Debian, CoreOS, FreeBSD, and CentOS. Of course, the service offered is through unmanaged servers. That would mean that you will need to install the applications yourself. The service has 15 data centers spread across the globe and covers almost all continents and essential areas. Amazon has been one of the prominent services in the realm of cloud hosting services. The massive advantage that Amazon AWS offers you would include the impressive transfer speeds. You also have access to some exciting functionalities that include integrated load balancing and HA functionality. AWS comes with one click deployment functionality for a host of apps, but installing them would be a little confusing for beginners. Of course, a few of them come with wizards and other options to help you set them up, a good lot of them can be confusing if you are not that tech savvy. Regarding availability, they would be the best you can go with. The company have more than 40 availability zones and are covered in over 16 different geographic locations around the world. Well, the comparison between the two services would not be complete, unless we make a side by analysis for the features. From that perspective, here are the features you would be interested in. The CPU utilization would be one of the essential features that decide the capability of a cloud hosting service. It would provide you with an idea of the performance of the Virtual server per each of the VPS providers. As expected, the tests between AWS and Vultr indicate that the CPU performance (and versatility) is considerably at higher levels on Amazon AWS when compared to Vultr. If CPU performance alone is the deciding factor, you can go with AWS. The response time refers to the average response time for each of the page requests of a web app. The response times have a more significant bearing on the possible conversion rates you would be able to get. The slower response times would mean that the visitors to your site are forced to wait, and thus this can reduce the conversion rate considerably. The ideal response time expected from a web server would be >2 seconds. Even a lighter variation of one percent will reduce the conversion rates by 5 percent or even more. Amazon AWS comes with auto-scaling functionality. You would be able to scale your operations up or down depending upon the exact requirements of your sessions. The number of instances is increased automatically when there is a spike in demand, and it is reduced whenever the demand decreases. Regarding migration, AWS offers you an Amazon Data Migration Service aiding you to migrate your cloud data within a few minutes. There is no downtime at all, and you are good to go with the new server. In Vultr, the scaling is done through taking and restoring snapshots as per your choices. Vultr does not support downscaling. You would be able to rebuild on equal or bigger disks, thus allowing scaling up alone. So, 3rd party service providers like Cloudways or ServerPilot should be able to provide you auto-cloning options for migrations. Regarding operating system support, we would consider both Amazon AWS and Vultr work almost on the similar grounds. Amazon works with 64 Bit Operating systems. You can install Ubuntu, Linux and Amazon distributions. There is support for Windows Server and Microsoft services as well. Vultr has a considerably limited footprint regarding operating system support. It supports CentOS, Ubuntu, and Debian. However, recently they have added support for FreeBSD and Windows Server 2012. One of the features that would set Vultr at an advantage is the option for uploading custom ISO as per your preferences. Support channels and functionality on Amazon AWS are just awesome and live up to the expectation from a massive organization of their caliber. However, you are charged a 10 percent additional fees for the support provided. Vultr performs at a remarkably higher level. There are quite a few complaints as such, and thus it can be considered to be capable of handling the support requests on its own. There are a few complaints that point to the fact that they are somewhat lagging in support. 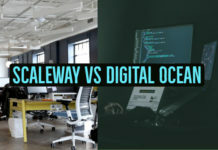 Comparing them to competing products side by side would give us a clear idea of how these two platforms function based on a few key parameters. We would assume that the above head to head comparisons should already have provided you with an insight into the capabilities and limitations of each of them. One of the features that you would find lacking is the DDoS protection. Even the most expensive options in the realm of cloud and VPS hosting do not offer you the functionality as part of their package. The reason is simple – the feature of cloud computing has not been designed towards the DDoS protection. If you want the DDoS protection, you can go with DDoS Défense systems separately. It may not be a perfect solution, but something you can work with. Well, both AWS and Vultr come with their exciting features to work with. If you are looking for a more comfortable one-click operation in addition to custom ISO installation, Vultr would indeed be the best you can go with. Of course, Amazon AWS has been the king of the service in every right, but if you make a comparison between the two competitors and the features that they come with, we will consider one of the right options for an efficient Cloud Hosting option. Of course, it is entirely new in the genre, but the development and enhancement that it has been able to show are indicative of the expertise and dedication that they have concerning the services that they provide you with. Option for Windows installation should be one of the best choices you would want to work with them. 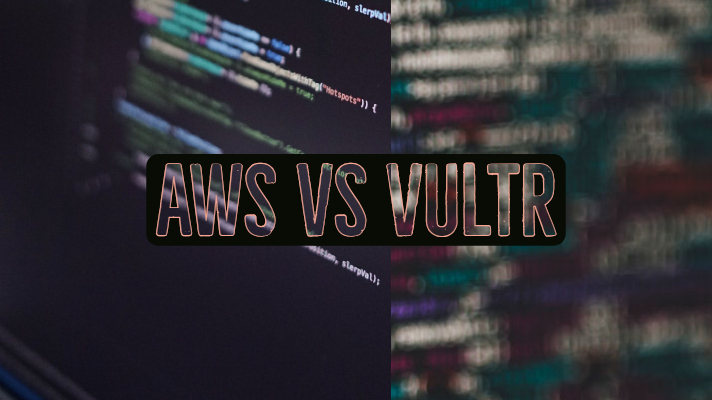 Comparing Amazon AWS and Vultr may appear to be a strange option for some of the purists out there. Vultr is considerably a newer company and quite limited when you compare it to a larger enterprise like Amazon. In essence, we would consider that Amazon AWS would be your best bet if you are looking for a broader set of features and a great deal of scaling opportunities. On the other hand, a high level of performance with hourly billing is what you are looking ahead to, Vultr would be your best option. Which one among them have you chosen t go with? Do let us know of your choice and the reasons for wanting them. Your inputs would go a long way in promoting our knowledge and enhancing our ability to judge the best among those two equally capable cloud hosting providers.